I'm a comedy fan and have seen a fair few stand-up comediens, abeit none that recently. 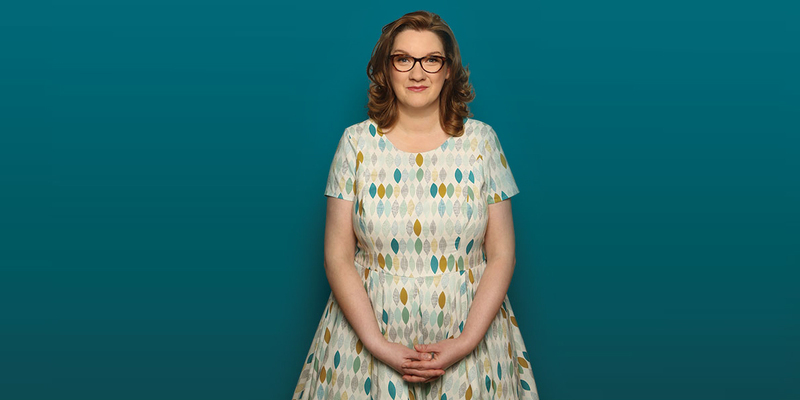 There is one comidiene in particular I'm fond of - and not just because she sounds a bit like one of my friends (who is from Durham and would not approve of me saying there's a likeness) - and that's Sarah Millican. She always comes across as a down-to-earth northern lass and her striking accent, sweet, high-pitched voice coupled with her astute observations and humorous honesty make her incredibly relatable as well as extremely funny. The charm of Sarah is that whilst she may sound sweet, her words are much more to the point - and she doesn't beat around the bush (ahem)! 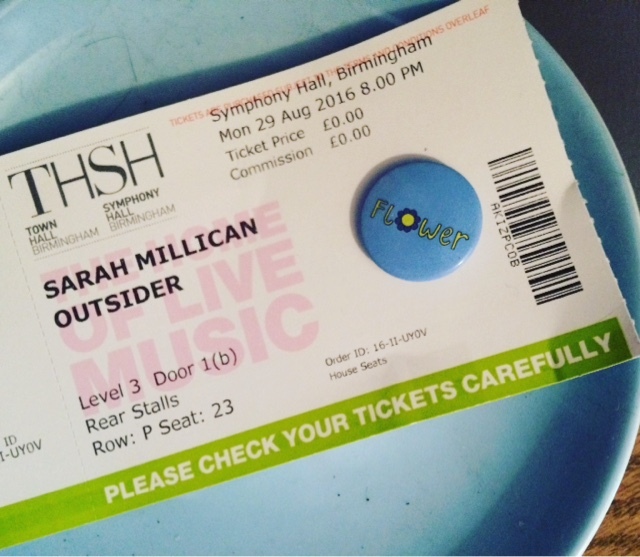 On Monday night, my Sister-in-Law and I headed out to Symphony Hall in Birmingham City Centre for a night in with Sarah, as part of her current Outsider tour. I'm excited to be working with THSH on a few reviews and this was a brilliant one to kick off with. As soon as we arrived in the stunning hall (the last time we had both been in there was on our respective university graduation ceremonies), the lights dimmed and Sarah came out to greet her audience. We had great seats, although everywhere seems to have a good view to be fair - but sadly couldn't get a decent photo in the darkened hall. Straight away, we felt at home in her company and after a short welcome, she introduced Jonathan Mayor as her support act. And what an act he was! Obviously the job of a warm up act is to, well, warm up the crowd and Jonathan certainly did that. Dressed, by his own admission, as if it were about to be panto season, he wore a flamboyant genie-esque outfit and proceeded to capture our attention for his wicked sense of humour as much as his colourful outfit. Erin and I were laughing from the get-go and our evening was off to a great start. When Sarah came out, the audience were in good spirits and it didn't take long for us to be drawn into Sarah's way of storytelling. In the first half, she made us laugh with stories from her recent move to the countryside and how she had been adapting to this and recently being married. She told a story of how someone came to deliver something to her and buzzed at the gate, asking to speak to the lady of the house. Her response? "Well, I'm a lady in a house, flower, will that do?" (just imagine her accent and way of delivery!). Other highlights included talking about how she can't take baths with bath scents and such in - leading to a whole new meaning to Katy Perry's song 'Roar' (as in, that's what her lady bits do!) - and her trying to make friends with the local wildlife, in an attempt to be Snow White. I'm not a comedienne myself, so you'll just have to trust me - she was great! After a short intermission, long enough to get a quick drink, which you could have pre-booked on arrival, Sarah was back and part two had a more personal feel. One particularly memorable line of story was her brilliant comeback to an email she had received from an old school friend, having seen her on the telly - or rather, an ex-bully of Sarah's. She also gave some very accurate descriptions of 'important information' that men seem to retain, versus the essential information we wish they would actually remember. Oh, and how she really doesn't give two wotsits about how society / media thinks she should look or act as a woman (check out her brilliant, fresh-thinking online magazine, Standard Issue - a gang we can all join). She wrapped up her set with a lively account of going for a massage and how it in fact stresses her out more than she was before she went. 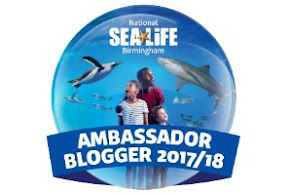 Being well known for using the terms of endearment 'flower' and 'pet' Sarah told the audience that we all had a free badge to take home and just had to choose whether we were an independent flower or a needy pet type of a person. I got the former and Erin picked the latter! It was a really nice, relaxed evening in the great company of Sarah. 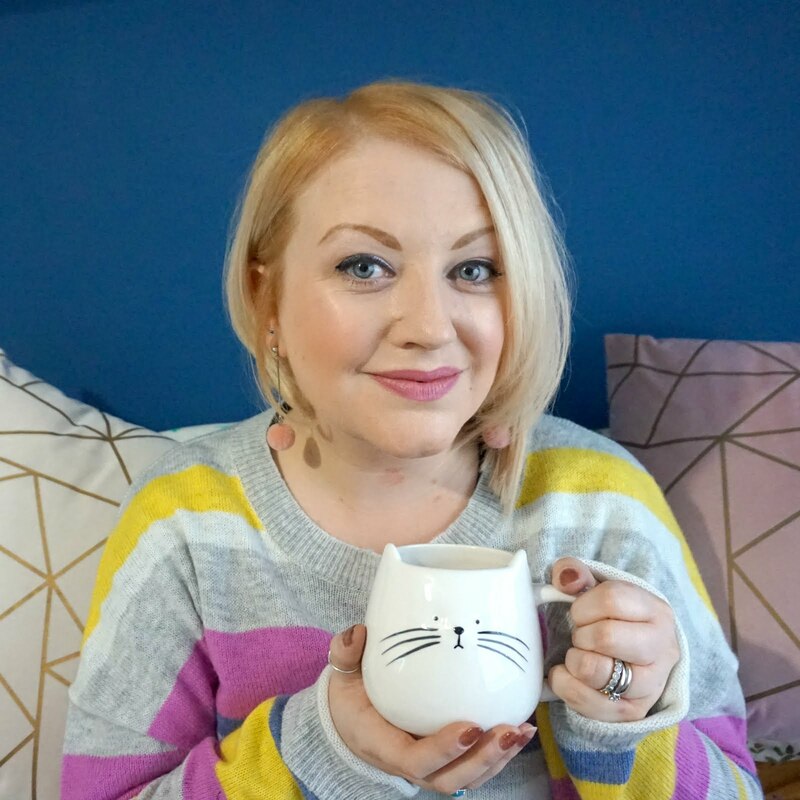 I feel that a slice of cake and a cup of tea should be standard for seeing one of her shows and there's no doubt you'll feel welcome, as well as empowered, by Sarah's genuine attitude and approach to life. She really is so relatable - you leave feeling like you've had a good natter with a great friend. Find out who else you can see and other shows coming to Town Hall and Symphony Hall Birmingham here. * PR review - I received tickets to the show free of charge but opinions are all my own, pet. Very jealous - I love Sarah Millican. Her humour just gets me every time.